I first saw ILL around three years ago and their infectious energy, riot of colour and influences and girl gang attitude blew me away. Their debut album We Are ILL has recently been released on Tyneside label Box and it’s an absolute blast. 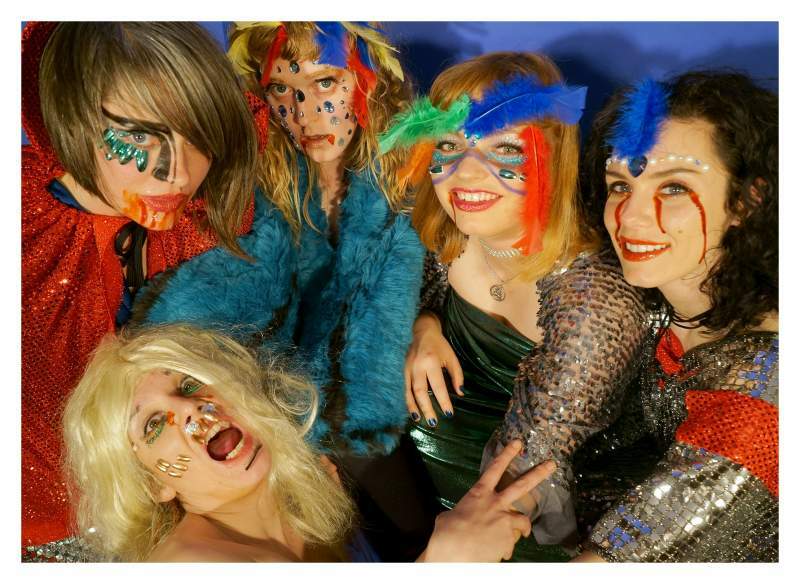 The band evolved out of Womb – “a Manchester-based women’s improv noise collective which at its peak included 14 members!” – and was in part a way of finishing some degree coursework. “The first songs we wrote were completely improvised, recorded in one take at the university studios. ILL Song was born out of one of these sessions – a very slow and menacing version, which at that time sounded much more like Slithering Lizards than its current incarnation.” Budgets and commitments meant that the album had a long gestation but fast forward to 2018 and a fortuitous message from Box’s Matt Batey and the album is finally out. The band are already itching to get working on their second album – “more disco, and lots more heavy noise!” – but first there’s some UK and hopefully some international dates. The ILL live experience is a marvellous thing so let them re-educate you, one at a time. ILL play Newcastle’s Head Of Steam on Friday 1st June with Blown Out and ‘surprise special guests’. We Are ILL is out now on Box Records.